In 2011, The Shimmering Sounds Foundation was able to raise enough donations to facilitate the purchase of a John of God Crystal Light Bed from the Casa of Dom Ignacio in Brazil. This Crystal Bed consists of seven high quality clear quartz vogal crystals, mined and carved in Brazil. They are blessed by John of God. 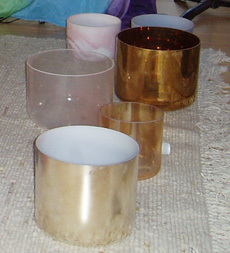 The crystals are attached to a high frequency lamp where colored lights are filtered through each crystal. 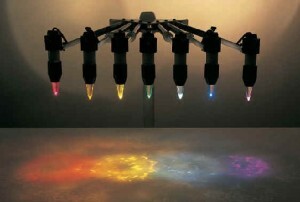 Each lit crystal is directed toward one of the chakras. The crystals create a stable and consistent stream of energy that raises the body’s vibrational frequency by interacting with the water in the cells. This is done while lying on a massage table. Many people have reported significant healings, as well as emotional clearing, a feeling of groundedness, a release of stress, and overall well-being. 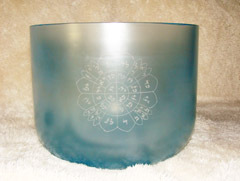 We are very thankful to everyone who helped to facilitate the purchase of the Crystal Bed, and since 2012, The Shimmering Sounds Foundation, with the assistance of our Executive Director, Leigh Ann Phillips, has donated well over 100 “Crystal Light Bath” sessions to persons who normally could not experience light and vibrational healing due to income restraints. The John of God Crystal Bed is currently under the care of Leigh Ann Phillips and located in Honolulu, Hawaii. All sessions on the Crystal Bed are by donation only to The Shimmering Sounds Foundation, or are gifted to anyone with limited financial means – no questions asked.